Thanksgiving and Black Friday are just around the corner and Era of Celestials is introducing a wide variety of costumes, events, and a discount store to celebrate. 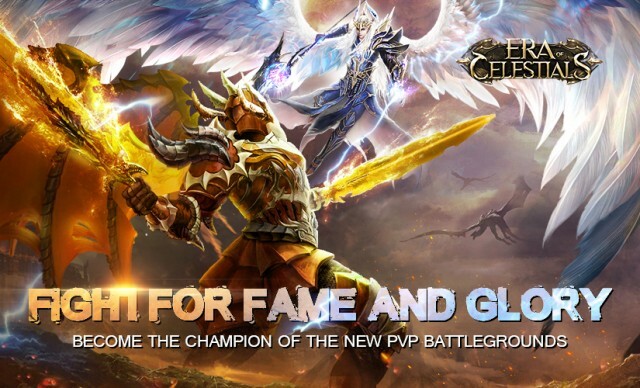 Also, Era of Celestials has made its existing game modes cross-server so more players across the world can unite and battle together, or against each other. Whether players are looking for PvP or PvE, the three main game modes bring a variety of challenges and rewards. 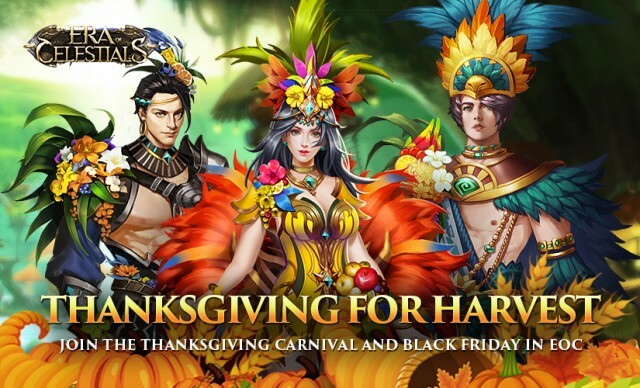 Era if Celestials is also putting on a Thanksgiving Carnival which will consist of a variety of events including new costumes and a mysterious Thanksgiving Chest for players to unlock. A Black Friday Shop will also open up on Black Friday will special items of at a huge discount. For players that love to show their power by vanquishing their peers, the 1v1 ranked ladder Showdown will satisfy that competitive edge with end-of-season rewards given out based on division. Each season will last two weeks and players will be divided from ‘Bronze’ all the way up to ‘Vanquishers’. The multi-floor Sanguine Contest battleground is a short daily event from Monday to Friday for players who prefer an all-out brawl. Players will be grouped together by floor and will need to defeat other players and avoid being killed themselves to gain points and ascend to the next floor. The higher up a player gets, the better the reward. For players who like to work together with others, the new Dragon Slayer dungeon will force players to team up and overcome the Dragon God. If players can defeat the boss within the time limit, it will drop a huge amount of rare loot for all participating players.